Rap has been the predominant make-up of the mainstream lately, and it’s pretty typical that when someone thinks of a rapper, a female is not the initial image that comes to mind. Artists like Missy Elliott, Ms. Lauryn Hill, and Nicki Minaj have done a lot to deter that reflex, but it wasn’t until last week that a female rapper was able to reach number one on the Billboard Hot 100 on her own accord since 1998, and tbh, she kind of came out of nowhere. Cardi B has been a reality TV personality and somewhat of an Instagram celebrity over roughly the past two years, but that is mere child’s play compared to the star-power that she has been steadily acquiring with the constant rise of her song, Bodak Yellow, on the charts. The song is a hit, that is completely undeniable, but what’s more, the rapper behind the song is as hard-working as she is hilarious, and is deliberately securing her stake in the mainstream. "If you’ve never heard of Cardi B, k, but if you’ve seen her even just once, you know- that’s an unmistakable presence"
With an audacious attitude and extremely compelling charisma, it’s really no surprise that Cardi B has garnered as much attention as she has. If you’ve never heard of Cardi B, k, but if you’ve seen her even just once, you know- that’s an unmistakable presence. This presence is what takes her from being just another girl trying to make it in music, to a credible rapper that just stumbled upon a little bit of history. To be honest, I was a little late to the #BardiGang Bandwagon. My journey with Cardi B began on the night of the VMAs, and what an incredibly impeccable entrance into my consciousness it was. After performing on the VMAs preshow and being caught with that incomparable meme-worthy facial reaction to the sound of Ed Sheeran unenthusiastically covering the chorus of XO Tour Life, Cardi B had the privilege of introducing Demi Lovato’s performance. Whilst beginning her time on camera making Colin Kaepernick commentary that was somehow very exciting and endearing, Cardi B seemingly lost sight of the fact of the fact that her baby pink feathered sleeve was falling ever so slightly down her arm, snagging half of her bust coverage down with it. It’s notable that she appears to be someone who cannot speak without moving her arms, so this snag was happening rapidly, and was just a few movements away from a Janet Jackson level wardrobe malfunction. Her shot was cut just long enough for either her to notice, or more presumably for someone to tell her that she was just millimeters away from a nip slip on live television, and when she returned to the screen, she dealt with it in the most ostensibly sensible but somehow hilarious way. As she completed her on-screen statements, the 24-year-old stood proud, unapologetically clutching the bust of her dress that had, moments before, threatened to drop past the point of no return in one hand, and her mic in the other. This moment enhanced further by her beyond noticeable bedazzled manicure. This was somehow a moment. Her magnetism was unmistakably present, with every word drenched in individuality and a Bronx-bred dialect. Her pride and self-assurance shone through with every visual aspect of her appearance, not only in her outfit, but also in the way in which she carried herself. She effortlessly took this potential embarrassment, looked it straight in the face, and turned it on its head. It was then that I realized the assured staying power of rapper, Cardi B. Now take that pride, self-assurance, and individuality, put it to a beat, and you have Bodak Yellow. If there was a song that could perfectly represent it’s artist, this is it. Not only does it tell the story of this once-stripper-now-famous-rapper, but it’s just dripping with attitude, accompanied by a voice that makes one feel the need to sing along with at least one middle finger up. Some will say that this rapper is nothing more than a one-hit-wonder, but seeing the congratulations pour in on September 25th tells a different tale. 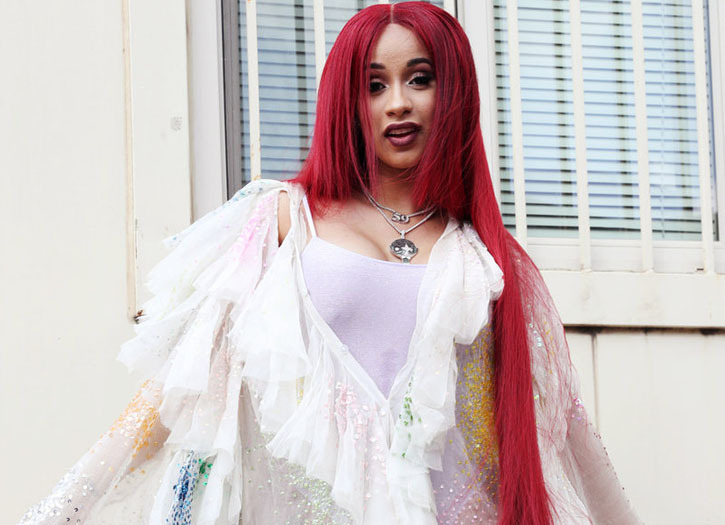 From J. Cole to Taylor Swift, Cardi B raked in congratulatory sentiments from the masses on the day Bodak Yellow reached number one, gaining noticeable support from artists throughout the pop world. Clearly, she is not seen as a threat to other artists, not because she lacks talent, but because she is solely focused on the movement of her own career, not in the termination of anyone else’s. Her success is not obtained by the reduction of others’. There was by no means any sort of silver spoon present at the upbringing of a young Cardi B, and every move she makes now is to prove to herself that she is capable of more than what was expected of her. Cardi B is the success story people aspire to become. From stripping in The Bronx to having a certified platinum record and a closet full of Louboutins, she makes hard-working artists proud. Nicki Minaj fans have already been outspoken about the impression that this newbie rapper doesn’t deserve the spotlight like Nicki does, but the truth is, this recognition couldn’t have gone to a more sincerely worthy artist. The gratitude and genuine excitement that exuded from Cardi B on social media and beyond after Bodak Yellow’s peak was contagious. Not only is this the inspiration needed for frustrated young artists everywhere, but it also serves as a reminder to those who are no stranger to the Hot 100 that what they do is an immeasurable privilege. 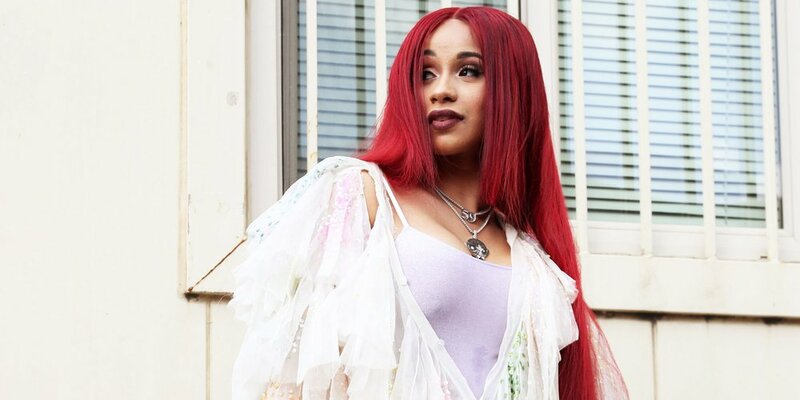 Listen to Cardi B and other charting female rappers of the past thirty years here. I'm Anna! I live in the very cool city of Dallas, TX and am looking forward to working with this cute, cute team of people. I care a lot about music and the culture that surrounds it, and am excited to have an excuse to write about such things. Here's to hoping I am able to write things worth reading and sharing. Coco is the Co-Founder and Creative Director of Gold Hand Girls. You can read more about who she is and what she loves on our "About Us" page!